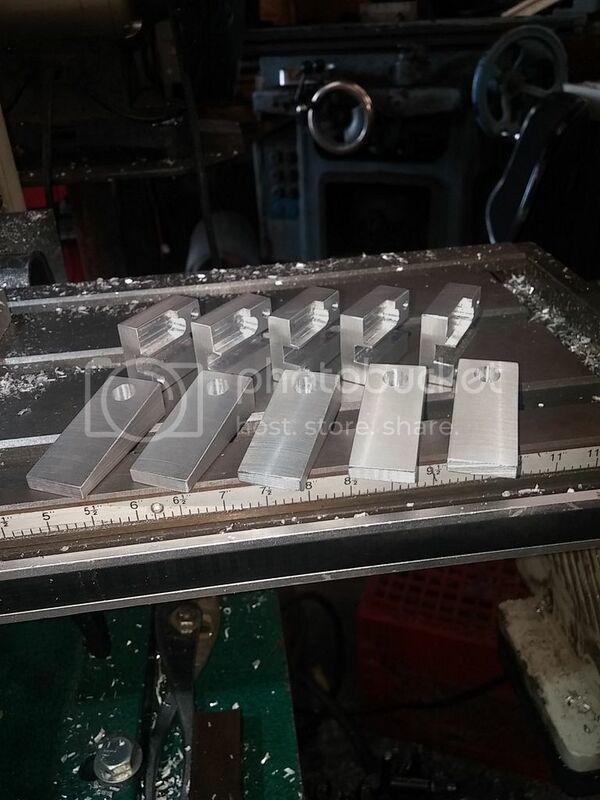 I have recently acquired some new tooling that allows me to make the case pushers out of one solid piece of aluminum, rather than the two piece version that I started out with. 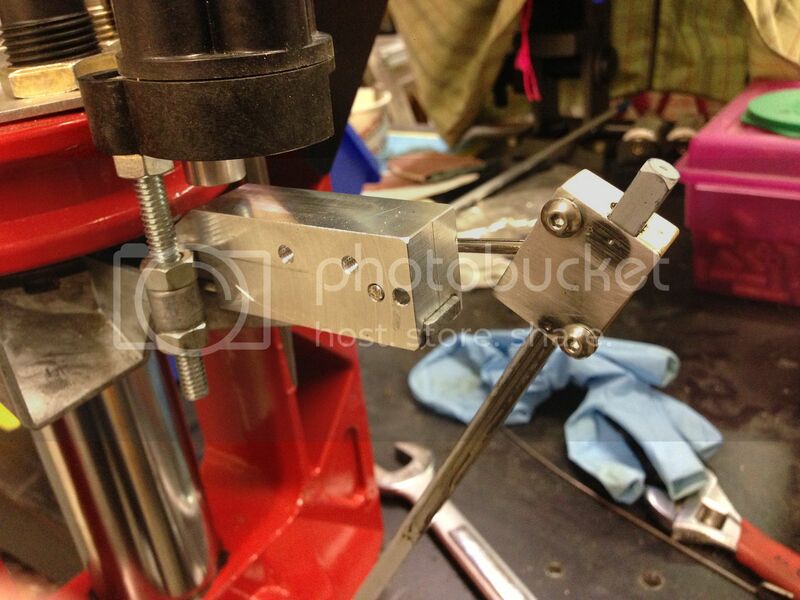 This greatly simplifies the process and cuts my machining time in half. I just placed an order for material, and when it arrives I will make a sizeable batch of parts and add them to my website. Chickenthief wrote: If one doesnt scour this site for your posts and by that stubmle onto your golden nuggets, then it is plain simply ipossible to order anything from your www as it reveals absolutly nothing as to Lee upgrades! Takes time and money to change web sites, he'll get it! Ebay would be good too. I have carbon fiber sq tubes on ebay/paid 1$ and 50 cents last month, but didnt sell any. Put some pics up on forum websterz when ya get time. And members who have webs stuff, put some pics up! Here's just a couple of mine. Love em! The Big Brown Truck dropped off a package for me this evening. It's a lovely large shipping tube containing just under $80 worth of assorted aluminum for making case pushers, crank actuators and rifle cartridge ramps. Tomorrow the work begins. Well, the one piece case pushers are a definite time saver! I finished five today in the time it used to take for one of the old ones. I drilled and tapped them for the 8-32 screw that holds the rifle case ramp after this pic was taken. All that's left to do on these is polish them up on the buffing wheel. If all goes well I should have everything ready to put up on the website next week. Got the crank actuator bodies and rifle case ramps finished today. 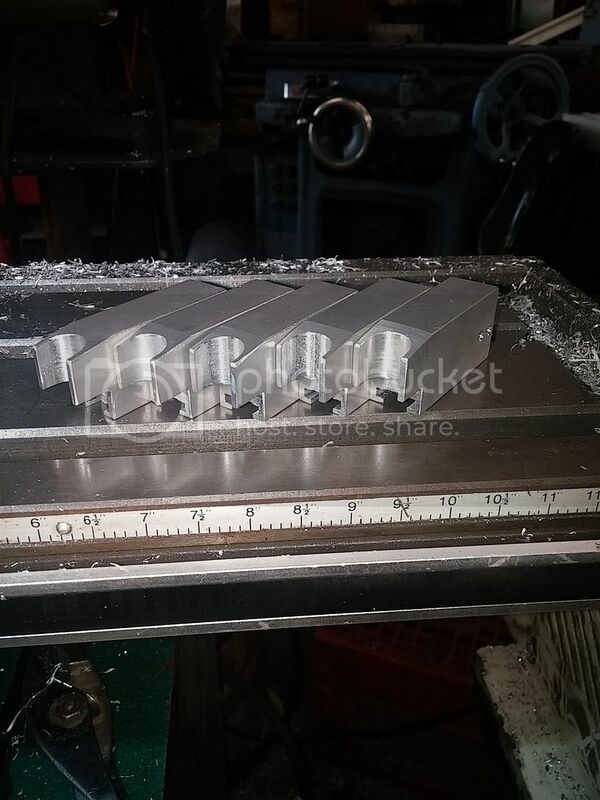 All I have left is crank cover plates and Tip-Stops and the first batch of parts will be ready to go on the website. What color powder coat do you think would look best on the steel parts, glossy red or flat black? I vote for black for some contrast, but red would look good as well. It's not a really big deal changing colors, but it would be a lot easier to do a run of parts all the same. I guess I could do a double batch of parts and use both colors. That way you could pick which one you want. Send me one of each along with my two tip-stops. So, one red Tip-Stop and one black one? websterz wrote: So, one red Tip-Stop and one black one?